In Central Oregon, our rich quality of life depends on the natural beauty of the forests, mountains, and high desert that surround us. 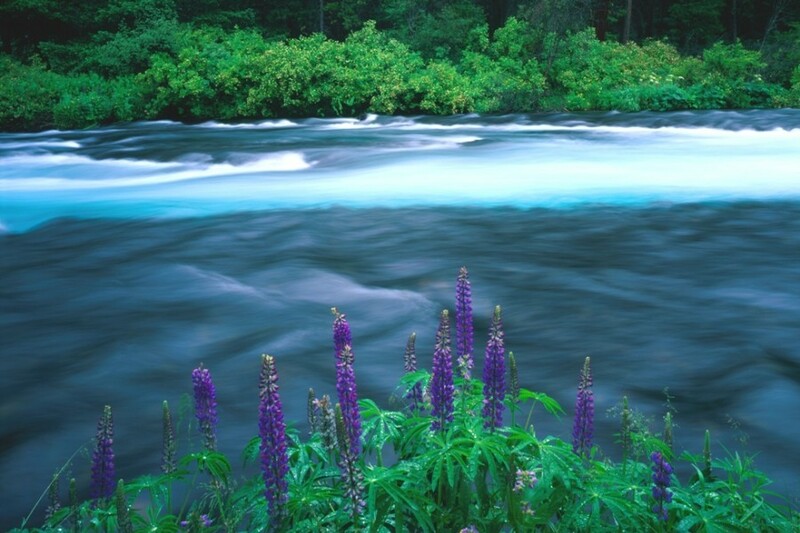 One of the crown jewels of the entire state is the aqua blue Metolius River, its stunning headsprings, and its ancient forests. As we celebrate Oregon's natural resources this month, we are looking back on past victories that safeguarded some of our most treasured places. The Metolius Basin was once threatened by clearcuts and destination resorts, but thanks in large part to our Executive Director Paul Dewey's unwavering defense of the area, it is now protected as an Area of Critical State Concern (ACSC). More than three decades ago, Paul Dewey founded Central Oregon LandWatch while working to protect old growth trees along Whychus Creek's banks from being clearcut. This led to an agreement with the Forest Service not to log old-growth and other trees along the creek and scenic roads and trails. A few years into that agreement, while walking along the Metolius-Windigo Trail, Paul discovered the largest timber theft in Oregon history at that time. Hundreds of trees he had saved, including irreplaceable old-growth, had been cut - they were gone forever. That theft and other problems in the Metolius area led to a LandWatch lawsuit against the Forest Service that was eventually settled in federal court and fostered changes in the nature of the Forest Service and forest management in the Deschutes National Forest. Fast forward to 2006 when Jefferson County amended its comprehensive plan to make two sites eligible for destination resorts. As a result, two huge destination resorts were proposed in and next to the Metolius Basin. They were planned to build more than 4,000 new lodging units and their groundwater wells would have affected the springs of the Metolius. Central Oregon LandWatch appealed Jefferson County's decision to the Land Use Board of Appeals, the Oregon Court of Appeals, and finally to the Oregon Supreme Court. That we continued the fight against many odds is a testament to Paul's grit, dedication, and persistence - qualities he has imbued into the entire organization. Our appeals made space for the legislature to take action on our proposals to permanently protect the Metolius, and we worked with legislators to find the right fix. The result was the creation of Oregon's first and only Area of Critical State Concern (ACSC). This designation has been an authorized tool since Oregon's statewide land use planning system was created in 1973. It identifies an area where potential development conflicts with resources of state importance and establishes a management plan to address those conflicts. So the next time you visit the Metolius and breathe in its sparkling beauty and soul-nourishing views, remember the people who battled for its lasting protection and make a pledge to stand up for Central Oregon's future generations. Katherine Smith Livingston (Tash) and generations of her family spent time in the Metolius and advocated for its protection. She visited many countries over the century of her life and lived in Iran for five years, but her favorite place in the world was the 'mountain, meadow, and river' of the Metolius. Newer PostCity Council Directs Urban Renewal in Bend Central District+ 🎉!